I will be back up and running tomorrow so stay tuned! Want a chance to receive free Stamps and supplies? 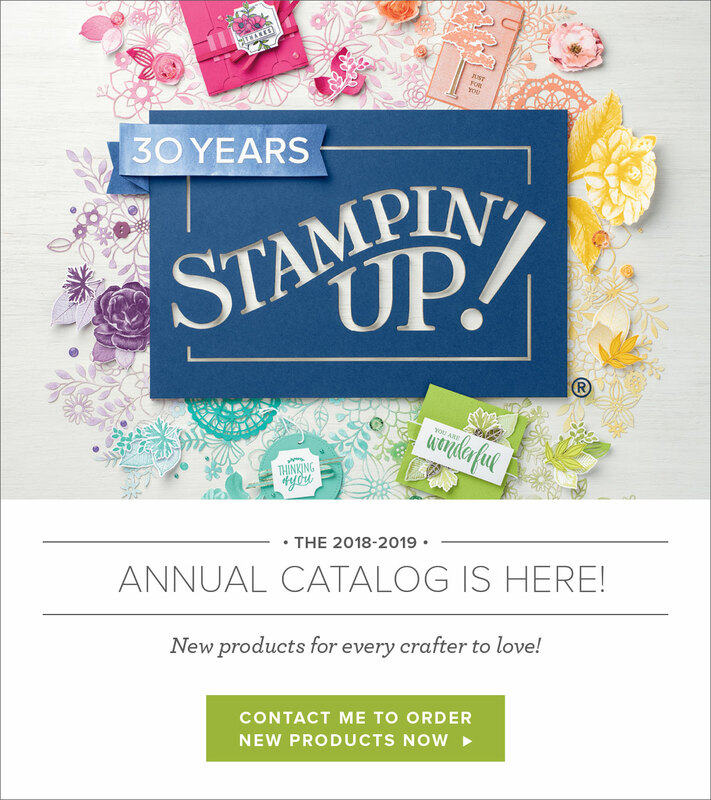 With Stampin’ Up!’s new Hostess Code, we can now add Online Orders together (place them individually in my online store, orders will ship directly to you – within the US only, but use the same hostess code). 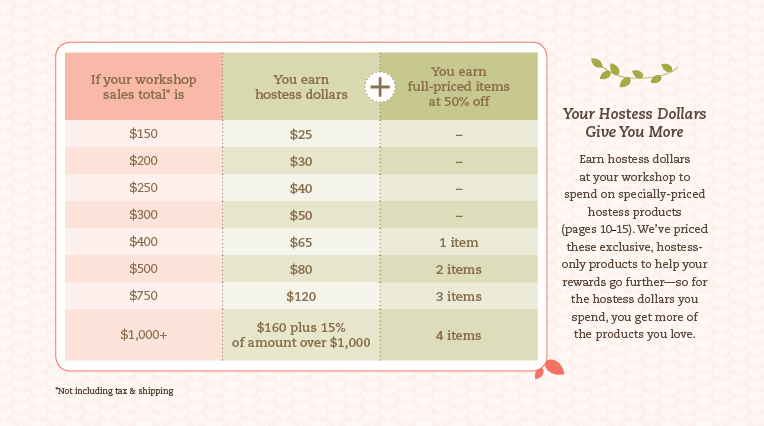 When smaller orders are put in together, the larger order qualifies for HOSTESS BENEFITS. That means FREE STAMPS (or other products) For the Hostess, it could be you! So let’s get started with our Online Mystery Hostess Workshop! How do you get to be part of the Mystery Hostess Workshop? Simply use the Hostess Code below and place a minimum order of $50 (before tax and shipping) in my online store by 11:59 p.m. on Monday August 19, 2013. Important: To be part of the Online Mystery Hostess Workshop, once you add your first item to your shopping bag the hostess code must be entered (August’s code is: 97WK9DX7) just below the Special Offers section and it should say Tiffany T. Rendon as the Hostess, my name is there because we don’t know who the winner is yet! Hopefully the pictures below will help you. Once all the orders are placed, on Tuesday August 20th, I will use random.org to draw ONE name to get the hostess benefits on the entire order! I will email the winner to find out what those choices will be. Lets go shopping!!! Start placing your orders now! Thank you for taking the time to shop with me! Your business is greatly appreciated! The Holiday Catalog is LIVE!!!! Products come to life in the holiday catalog, thanks to a fun interactive app. Go to the App Store or Google Play and download and install the FREE Layar app to your smartphone or tablet. Scan images that are tagged with the Stampin’ Up! Interactive icon to unlock videos. Different mobile devices will work differently with the Layar app. Some are faster than others, some will take more steps to load the videos, etc. You need to hold your mobile device far enough from the page that the image is completely in the device’s screen before the video will load. Hold your device over the page until the video loads. Be patient-the video might take a while to load, depending on your device. If you don’t want to hold your device over the page for the duration of the video, just tap the video and then pull it away from the page-the video will keep playing. From the video, you can go directly to the online store so you can buy a product immediately, and you can also share your favorite products on social media. Check out the new Holiday catalog today and tell me what you think! So let’s get started with our first Online Mystery Hostess Workshop! 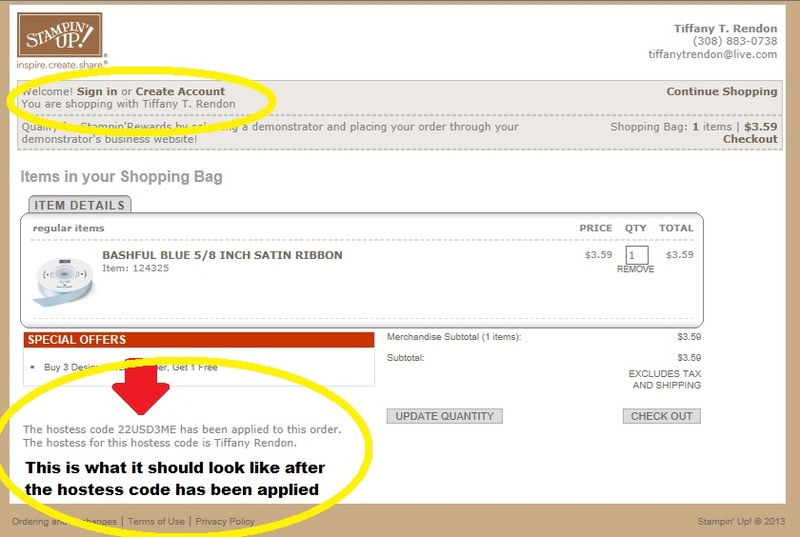 Simply use the Hostess Code below and place a minimum order of $50 (before tax and shipping) in my online store by 11:59 p.m. on Monday July 15, 2013. 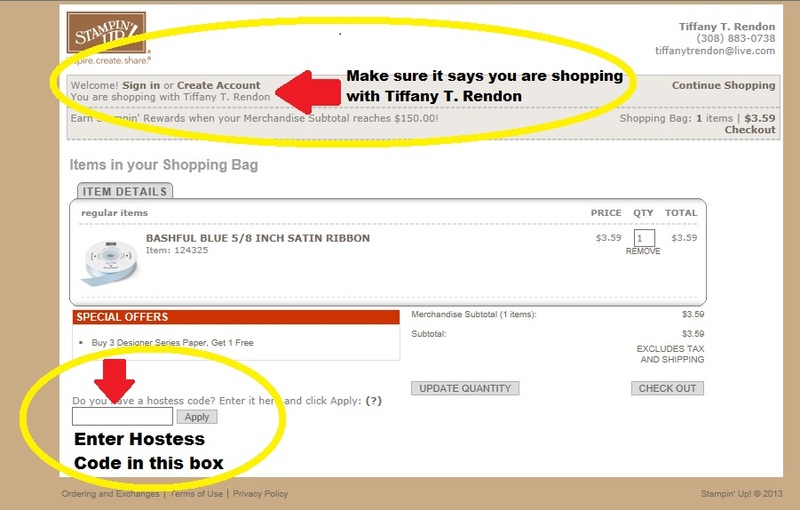 Important: To be part of the Online Mystery Hostess Workshop, once you add your first item to your shopping bag the hostess code must be entered (July’s code is: 22USD3ME) just below the Special Offers section and it should say Tiffany T. Rendon as the Hostess, my name is there because we don’t know who the winner is yet! Hopefully the pictures below will help you. Once all the orders are placed, on Tuesday July 16th, I will use random.org to draw ONE name to get the hostess benefits on the entire order! I will email the winner to find out what those choices will be. How would you like to get 20% off of your stamping needs every time you order? How would you like to earn extra cash at your own pace? How would you like to be your own boss? How would you like to have a job where you get to stamp, color, and create all day? If any or all of this sounds good to you then I have the solution! 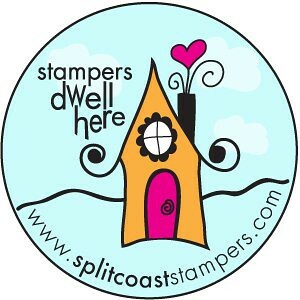 Join my team of Stampers! Your starter kit is filled with the products you want, because you pick what you want in your starter kit. You earn 20% off the top on every order you place and every order someone else places with you. You can do it as a hobby, a part time business or, a full time career. Never heard of Stamping School? Every Sunday she uploads at least two new videos so there is always something new. 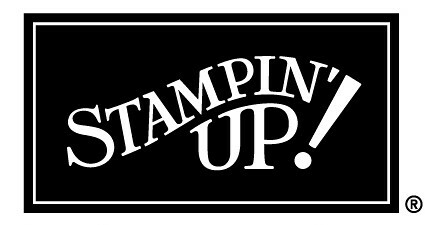 Ready to save money, have more fun and, enjoy our wonderful group of stampers? Click on the button to join My Team!